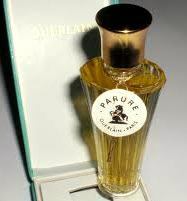 Parure by Guerlain: launched in 1975. Created by Jean-Paul Guerlain with his mother in mind. 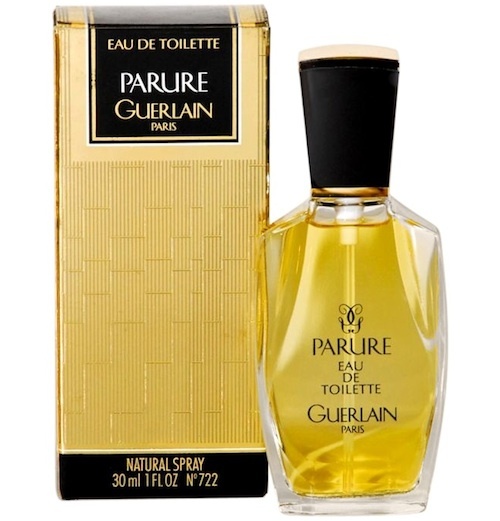 It is a luxurious fragrance that evoked the richness and brilliance of the most precious jewels. Parure means a matching set - earrings and necklace. 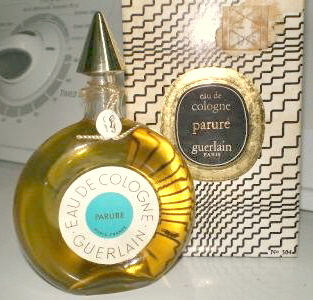 So what does it smell like? 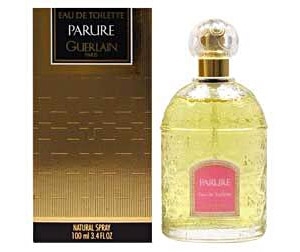 It is classified as an aldehyde chypre fragrance for women. 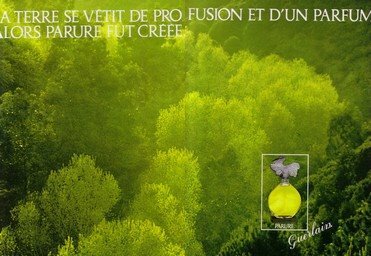 Presented in a clear round flacon (parfum) with a swirl stopper designed by Robert Granai. 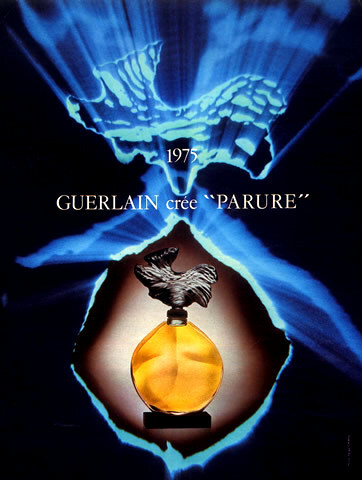 The stopper, according to Jean Paul Guerlain, was inspired by a glowing sea view sunset. 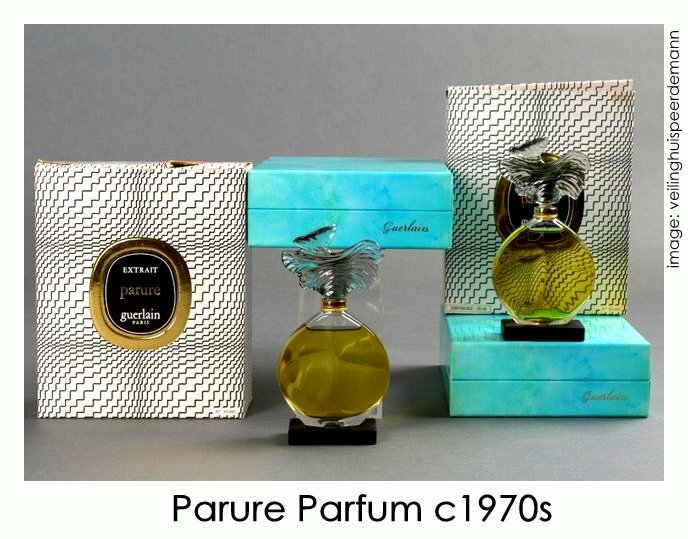 Also presented in the quadrilobe flacon (parfum), the Goutte flacon (eau de toilette), the Montre flacon (eau de cologne), the Parapluie flacon (parfum) and various spray bottles over the years. The perfume has suffered from reformulation over the years due to IFRA regulations, and then finally discontinued.